The good news is that in the intervening years a great deal of progress has been made. Estimates by the Environmental Protection Agency (EPA) and Center for Economic and Policy Research (CEPR) state that there has been $30.77 of benefit for every dollar spent complying. Along with the improved health and welfare of the population. 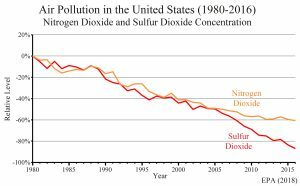 A detailed report by the EPA on the progress made since 1970 is impressive. Not only has the actual pollution declined significantly, but there are new signs of life in lakes that were too polluted to support trout populations. 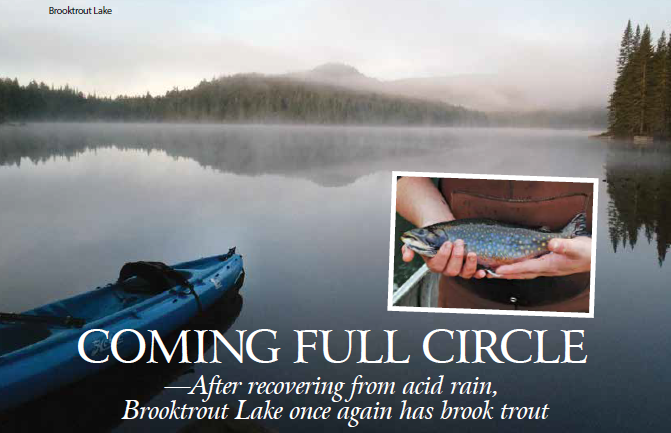 From a New York State Department of Environmental Conservation report it was reported that the reintroduction of brooktrout into Brooktrout Lake was deemed successful when the first wild trout offspring were netted in the lake! Unfortunately, the Trump administration seems intent on dismantling the laws and regulations that have made this progress possible. More on that part in another post.